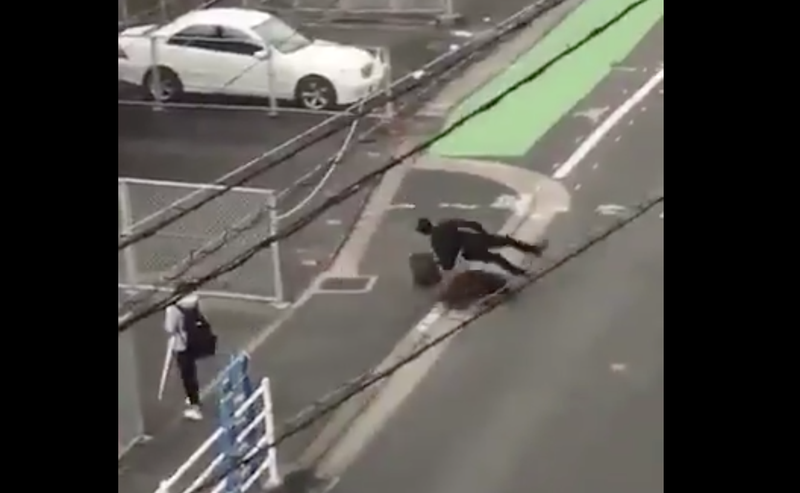 If you thought your commute to work was bad, wait till you see how this Japanese man's morning started. Imagine walking to work minding your own business, and all of a sudden you’re charged and bitten by a wild boar? According to IOL, a Japanese worker, 48, was making his way to work when all of a sudden, a wild boar which was hiding in an alley, charged him, knocking him (and his briefcase) off his feet for a few seconds before losing interest and running off into the distance. It is reported that the man was walking to the train station which happens to be close to a mountainous area. Many have said that the boar could have wandered in from this area into the city. Thankfully, the man was not seriously injured. He was taken to a hospital to be treated for a few wounds and received about eight stitches following the traumatic incident. This has to be the most terrifying way to start your work day, right?